Sleeping on Ryu can be hazardous to your health. This is especially true when facing someone with the creativity of Drakengard32. Here are some new Ultimate Marvel vs. Capcom 3 combos and TACs from Drakengard32. If you see Ryu styling in Ultimate Marvel vs. Capcom 3, then you shouldn't be surprised if some inspiration came from Drakengard32. 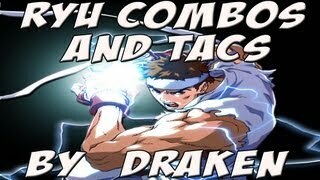 The No Limits team member has uploaded some new material for Ryu including combos and team aerial combos (TACs).